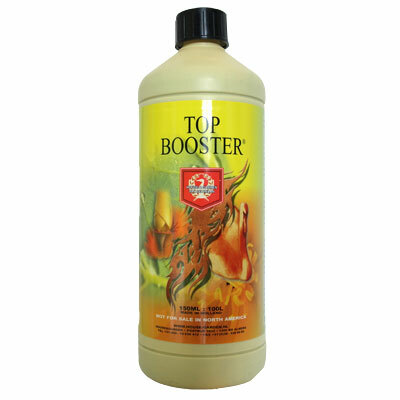 Top Booster tricks the plant into acting as though it is in its final stage of its life cycle, creating a natural autumn effect. This prompts the plant to form flowers and fruits to reproduce itself. We've also added Eddha-Fe (iron) to ensure healthy leaf colour. It provides plants with the Phosphorous and Potassium they crave during flowering, resulting in superior flowering sites. Can be used in Hydro, Coco and Soil. Use: Top Booster should be used for 4 weeks before harvest for 3-4 days.